Brooke Adams was one of the most beautiful and versatile actresses of the late 1970’s and early 80’s. 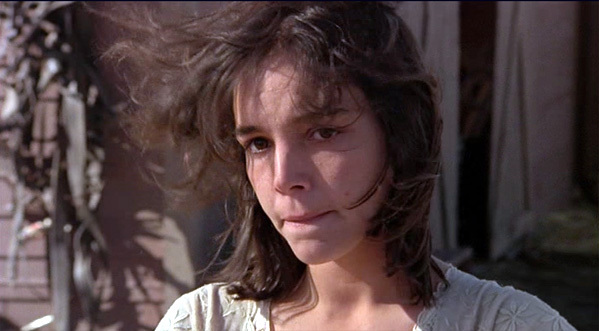 Her big break was playing opposite Richard Gere in director Terence Malick’s seminal drama DAYS OF HEAVEN (1978). The film is visually arresting, capturing the landscape of the Texas Panhandle in 1916 when lovers Bill and Abby conspire to defraud a dying farmer out of his land. Of course, the most beautiful thing about this movie, in my mind, is Brooke Adams and once you see the movie I believe you’ll agree. Brooke is a revelation in the role of Abby, coerced into seducing the farmer into marrying her by her real lover Bill (Gere). Adam’s face is one of innocence slowly corrupted by the power of love and then redeemed. The power of her inner beauty is only matched by the incredible cinematography, for which the film was nominated for an Oscar. Malick won at Cannes for his direction, though the film was a financial failure when it was initial released. Since then I’m happy to say it has become a classic. Brooke is a natural beauty and she was perfect casting for this tale of would be extortion. She is conflicted throughout much of the movie and her instincts are right on for the role of Abby. Brooke would enjoy other signature roles in the late 70’s and early 80’s such as in INVASION OF THE BODY SNATCHERS (remake; 1978) and THE DEAD ZONE (1983) but it is very much DAYS OF HEAVEN that has made her mark in film history. The film is one of the arresting visual experiences since Sir David Lean’s LAWRENCE OF ARABIA (1962). The film was almost entirely shot during the magic hours of dawn and dusk, giving it a truly ethereal and timeless quality. Malick’s approach was to use as much natural light as possible for the tale, to give it’s characters and tragic story a mythic background and earthly color pallet. Maybe this is why Brooke Adams comes across as an earthly angel reminiscent of many silent film stars, even with a dirty face. 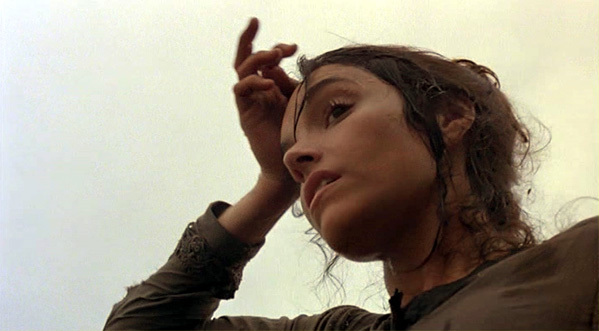 This is a very hard thing to pull off in color vs. black & white and the desaturated nature of Malick’s framing gives the actress her own mystical quality – as if we’re perceiving her through a looking glass. There is one famous scene in the modestly-budgeted film where all the farm-hands are besieged by locusts. This effect was achieved by the filmmaker having his entire cast walk backward while thousands of peanut shells are dropped by helicopter. Of course, the action was filmed in reverse, so when projected normally it appears as if the locust are rising in swarms and the cast are walking forward in awe. A practical effect like this is rare to see today in film with CGI being used for everything. I believe the resulting effect is one that cannot be replicated with CGI today, and therefore is all the more magical to behold – especially because it worked so well. The other magical quality of this film is that, yet again, the perfect leading lady came along to elevate the material to another level. Brooke’s face is so expressive, so luminous and so young that she is captivating without eating the scenery. Indeed, her understated performance and Malick’s brilliant direction make this film timeless in a way that has stood the test of time. It is intended to be a historical picture, but not one from 1978 or from 1916 (when the story was set); DAYS OF HEAVEN possesses it’s own time period if that makes any sense. A time when America was still a frontier and people roamed it searching for their destinies besides wanting to become a movie or singing star. When we were still bound to the earth as if it were a part of us. When nature was largely still in control of the ebb and flow of people’s lives and people looked old by their early 40’s, if they made it to that ripe old age. 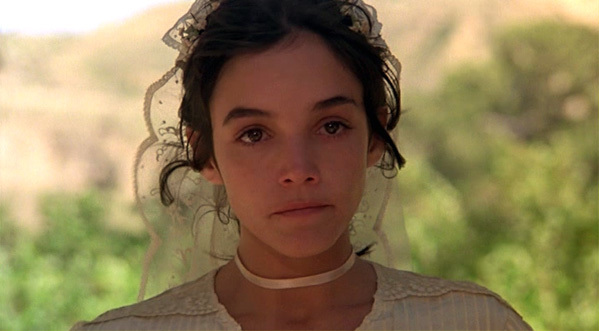 And maybe that’s what sticks in the mind so much about DAYS OF HEAVEN for me. It’s a movie that works without any pretense, the storyline being almost incidental to the imagery and portrayal of characters who occupy physical space before us the way so few of us occupy it in our own lives today. It’s so hard to fathom the America in this movie because we are so far removed from nature in our daily lives. So when we see it projected in such a heightened state of reality, something deep within us (our collective humanity) tugs at our souls, telling us we’ve lost something. 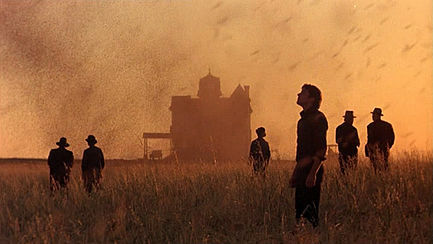 Nature is a character in DAYS OF HEAVEN as much as Adams, Gere or Sam Shepherd (the farmer). And for a few glorious hours, one can still get lost in the beauty of the natural world around us, albeit from a screen. 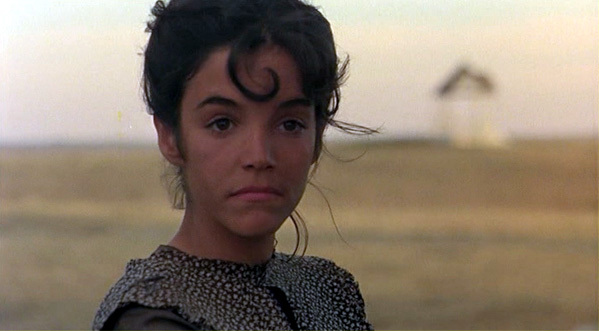 It’s safe to say a movie like DAYS OF HEAVEN would not be made today. Then again, maybe some aspiring young director will take his or her cue from the master and bring back naturalism in all it’s bygone glory. 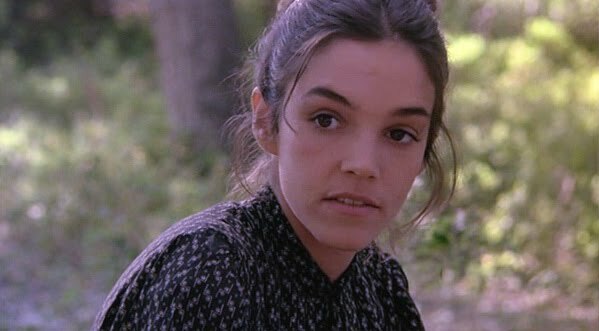 I hope for them that they find an equally talented actress as Malick was able to find in Brooke Adams. A natural beauty whose ability to convey the world around her merely in her movement and the look in her eyes is as magical as the hours of dawn and dusk that still manage to take some people’s breath away. And when they do, I hope they use peanut shells instead of pixels to recreate the locust!